Seminaries are always institutions of prime importance in the effective functioning of the apostolic church, as it plays a crucial role in moulding the clergy of the church. It is through them the church is empowered to endure its divine mission in the world. With the increasing complexities in the society, the task of the priests becomes much demanding and vital. In such a juncture it becomes a prerequisite of the church to have well educated, trained, committed, and above all faith- rooted priests and nuns, for which seminaries are entrusted with much responsibility. Seminaries toil akin to the womb of a mother which provides essential nourishment for the proper growth of the foetus. Likewise seminaries are destined to provide the priesthood aspirants with essential formation and learning for their vocation. Being in a pluralistic society like that of India it is of much importance to train students to be sensitive to this plurality and to witness Christ in an effective way. The task of a seminary is never limited to imparting knowledge alone but also to reach out the less privileged in the society and to extend the helping hands to the needy and poor, through which it will be able to kindle a new blaze of humanity in the mind in the seminarians. Being a Syrian Orthodox Theological Seminary we endeavour to safeguard the rich heritage and liturgy of the Syrian Orthodox Church and to communicate it in a fruitful way to the believers. Our seminary also gives much thrust to modulate the clergy to have an ecumenical mind to work with other denominations for the unity of the body of Christ, the Church. The learning imparted in the seminary focuses on the holistic development of the pupil including his spiritual, academic and personal growth. 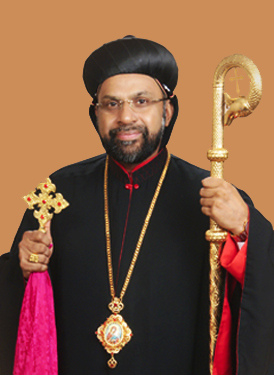 As an inevitable part of the Malankara Syrian Orthodox Church, our seminary is thriving for the formation of such proficient spiritual leaders and for the fame of the Christian Church.